How to find Original Rudraksha? How to use different Rudraksha Beads? How to get Rudrax Power? Complete Info from Puranas and Tantras. What is the required Rudraksha Puja before wearing Ekmukhi? What is the difference between energized Rudraksha and normal Rudraksha? Let us discuss these topics today. Normal procedure of Rudraksha Dharana includes, prior worship of it in the name of presiding deity. This is sometimes called as energization of Rudraksha. We can compare it with the 'Naming of a baby'. By naming we are not giving any special energy, but, we are approaching easily. Now, you can decide your self, whether to give importance to the cult and Mantras given below, or not. 1. Select Shivratri or any other holy day. 2. Weak-up early in the morning. We are going to start Puja before Sun-rise. It takes around 30 min. 3. Collect 108 Red colored flowers (as most of us are having worldly desires) and keep them with you. 4. Make a Prthiva Shiva lingham (with mud from a pond or any good place). 5. Say prayer to your Guru, Lord Ganesh, Ishta daivam (Form of God to whom you are devoted) and Lord Shiva. 5. Choose any one Mantra as per your need. 6. Garland the Rudraksha to Lord Shiva after Abhishekam. 7. Worship Shiva by offering the Red flowers and chanting selected Mantra. Don't do all Mantras. That is not correct procedure. If you can spend some more time, chant the same Mantra many times. 8. It is better to repeat this procedure on every Shivratri. 9. Much better to chant Mantra daily. If you have Guru Mantra do that daily. That's enough. 10. This procedure is very simple and brief. Not for elite persons capable of doing Rudrabhishekam or Rudra homam. Of-course they know and will have their own style, which sometimes take even 40 days of time! 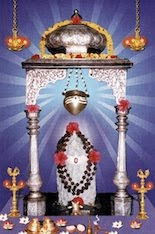 Few of us may feel problem in doing Parthiva linga Puja. They can choose to offer flowers and garland their Rudraksha to Lord Shiva in a local temple. All of us know, Devotion is important. important point : Use a Rudraksha for single purpose, i.e, "worship it", "wear it" or "include it in Rudraksha mala for chanting". Don't do all things with same Rudraksha. 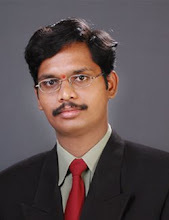 Hi, I'm a Doctor by profession and a Shakteya by devotion. My Guru is Maha Kala. My dream is to see this world without countries.